When the Volvo 760 GLE was introduced in February 1982, it was available only as a 4-door sedan. 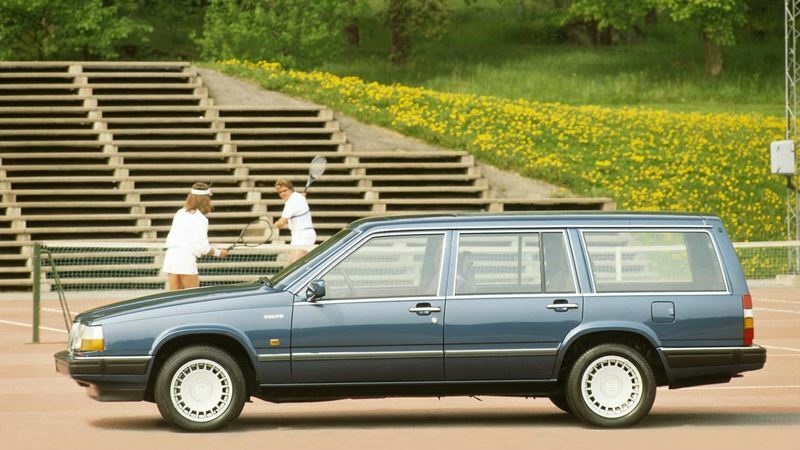 1985 saw the launch of the long-awaited 5-door estate car. The 760 GLE estate car continued the tradition begun by the Volvo 265, that is to say a 6-cylinder estate car with a high equipment specification. The 760 GLE had a modern profile with a low waistline and large glass areas. In estate car guise, the 760 featured an almost vertical tailgate - a profile which by now had become something of a hallmark of Volvo's estate cars. The new 5-door estate combined generous accommodation for passengers and luggage with an exceptionally high standard of safety. Three engine alternatives were offered: a 2.8 litre V6, a high-performance 2.3 litre 4-cylinder turbocharged unit, and a 6-cylinder turbocharged diesel. The 760 GLE received a substantial facelift for the 1988 model year, with an all-new front and a new instrument panel being the most noticeable features. The Volvo 760 GLE was replaced in autumn 1990 by the Volvo 960.